A real work rig. No need for two headlights or that pesky glass in front of it. 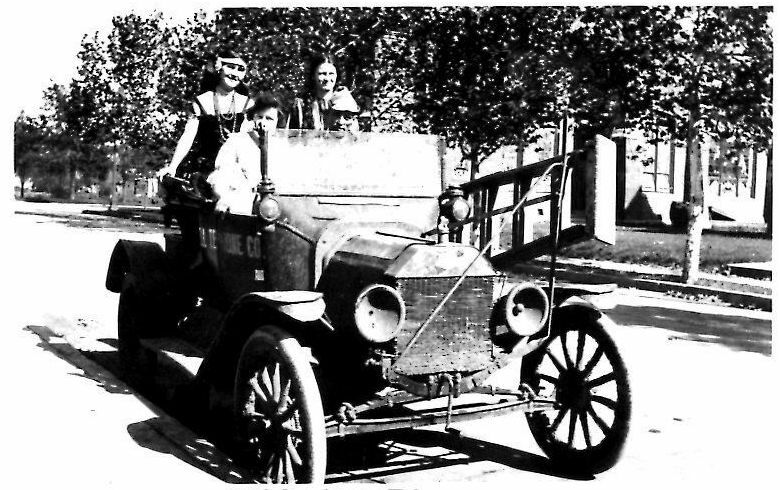 Must have been taken in the 20's as you can see by the wear and tear on the car and the girl in back is a "flapper" Ladder bracket is just the fender. It would sure be interesting to know what they did with that car. The lower part of the radiator looks like it received a load of buckshot. That could also explain the absence of glass in the headlights. Would take more than a ladder Dennis!!! Maybe a huge dowery to go with it. My bad!